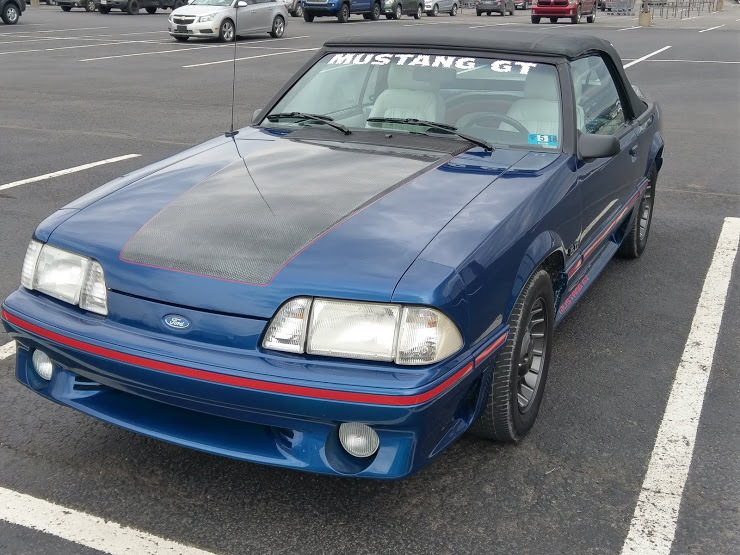 UP FOR SALE IS A RUST\ROT FREE VERY CLEAN MUSTANG GT CONVERTIBLE FOXBODY. 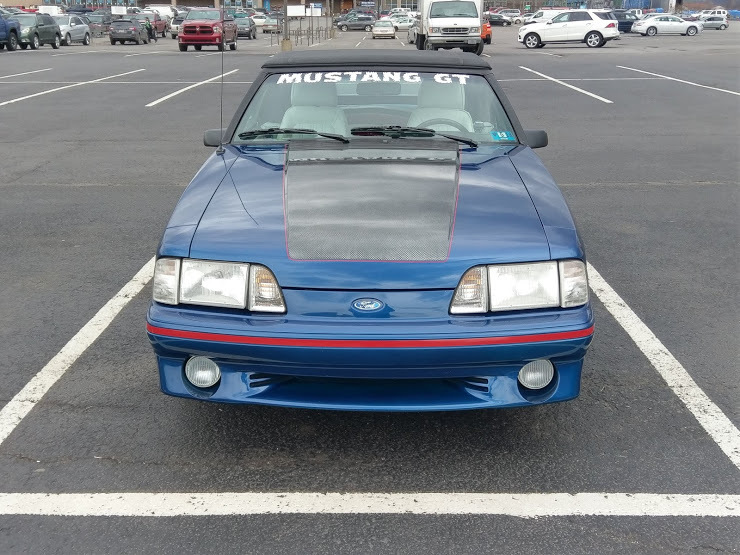 5.0. 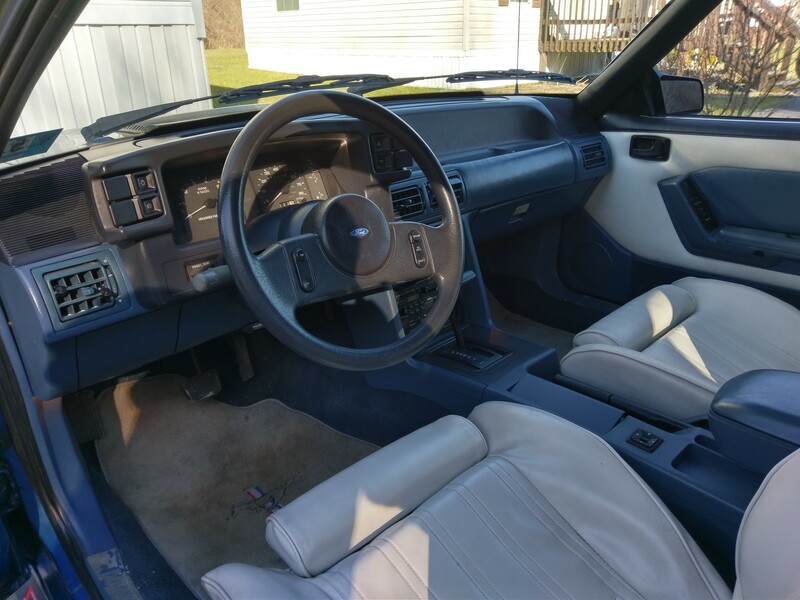 CAR IS 98% ORIGINAL UNMOLSTED. 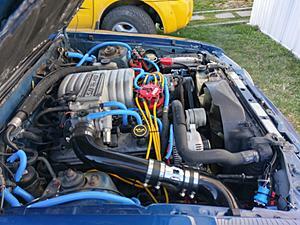 CAR HAS ALL POWER OPTIONS. 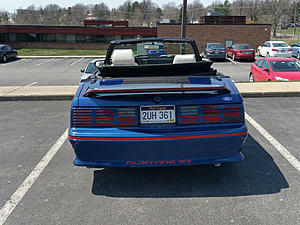 WINDOWS, MIRRORS, SEATS, TRUNK, GAS LID. 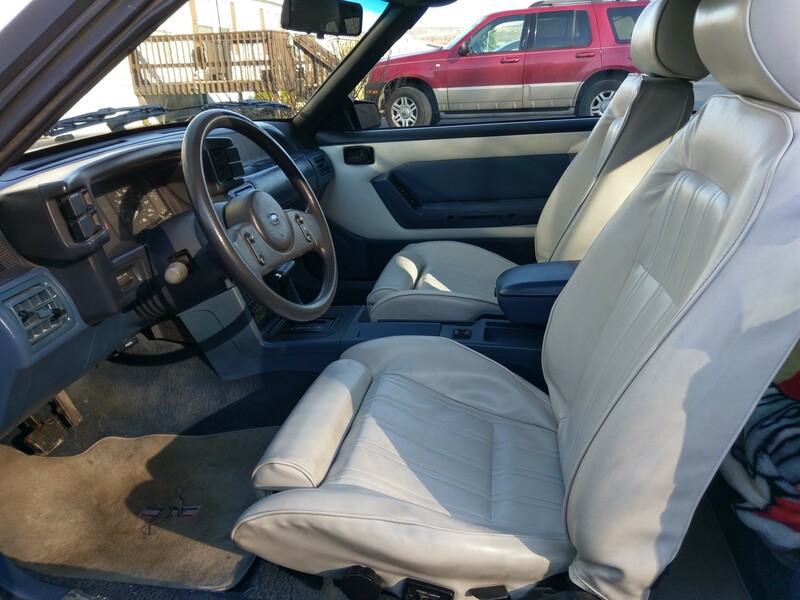 COLD AC, HEAT, CRUIZE CONTROL, EVERYTHING WORKS AS IT SHOULD. 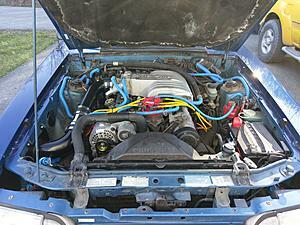 NO FLUID LEAKS. ENGINE PURS LIKE A KITTEN, 4 SPEED AUTOMATIC TRANSMISSION SHIFTS SMOOTH. 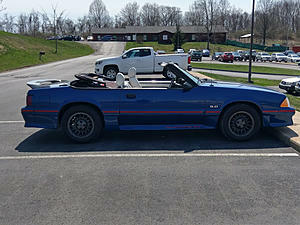 CAR HAS 82,000 MILES. 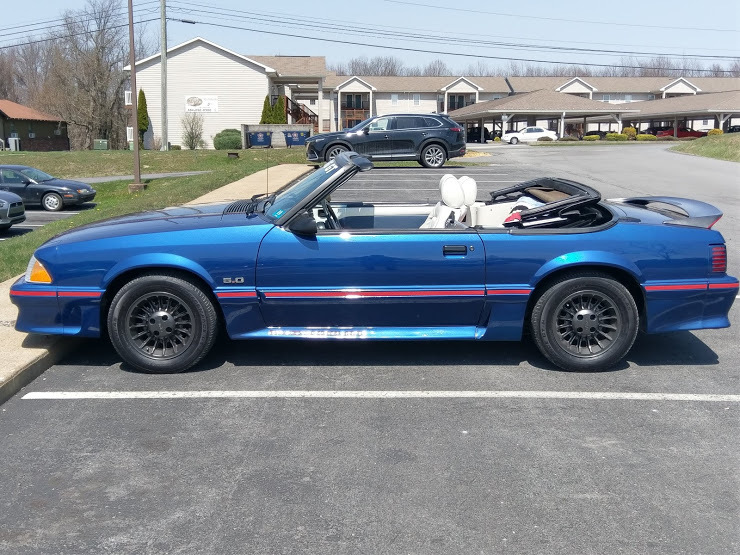 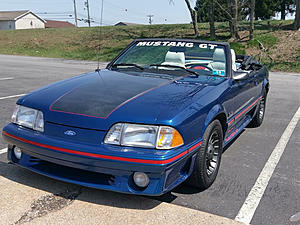 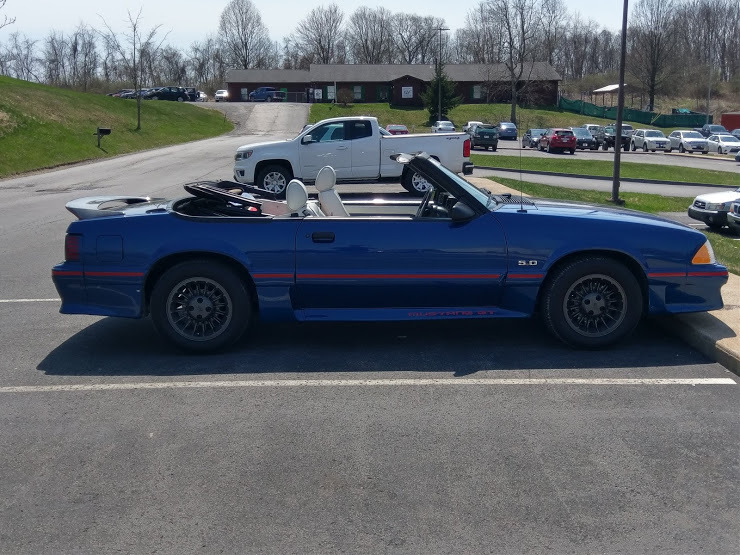 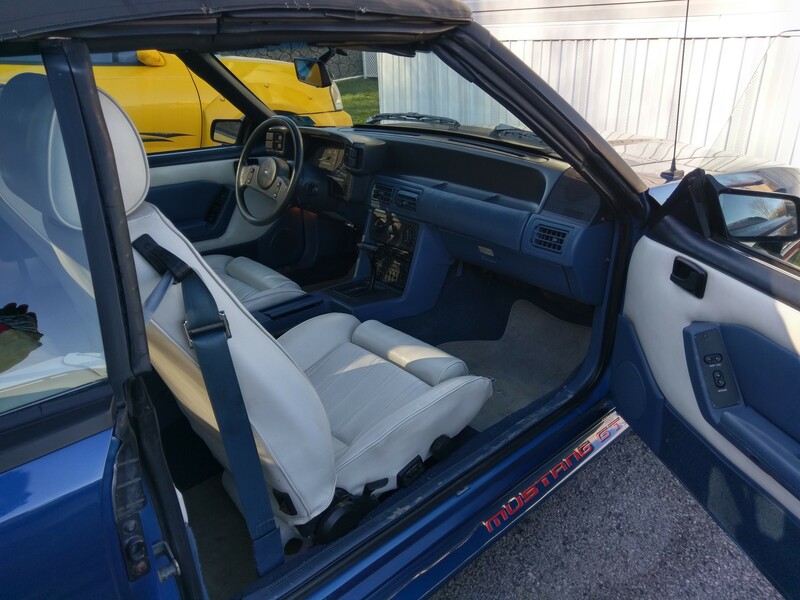 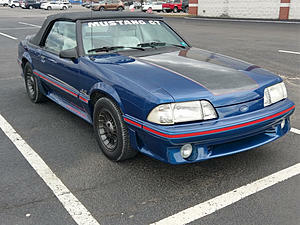 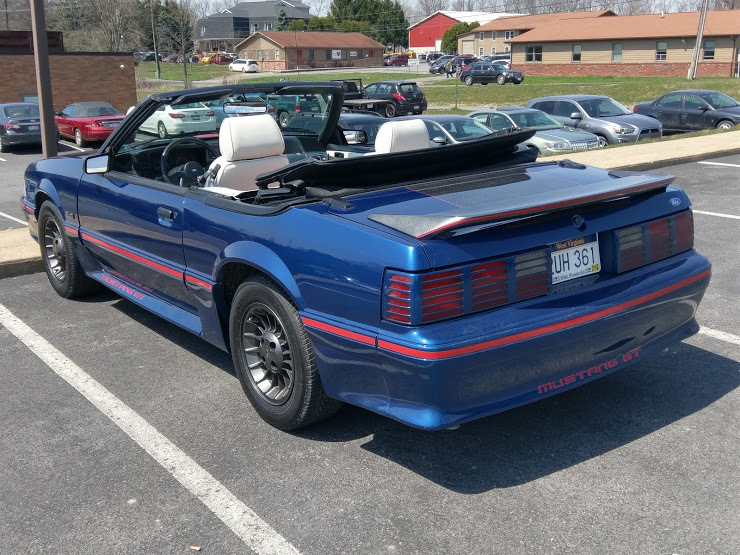 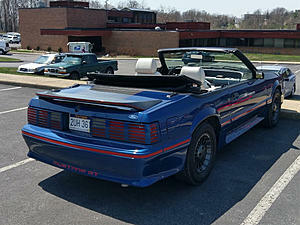 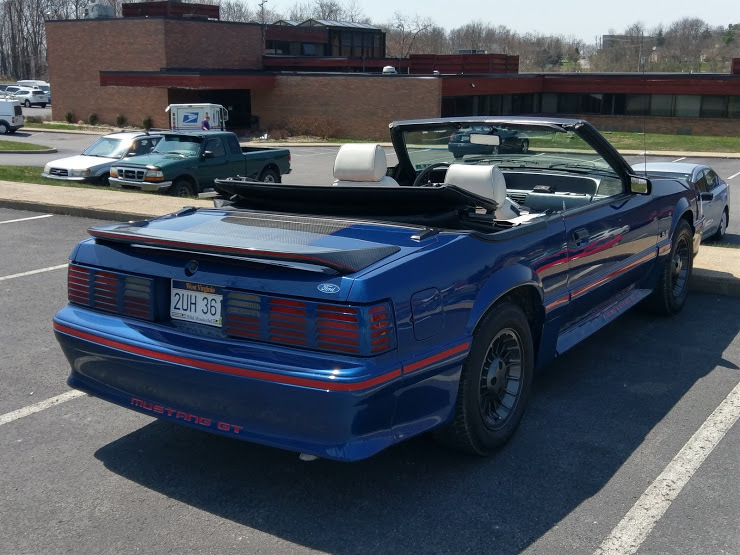 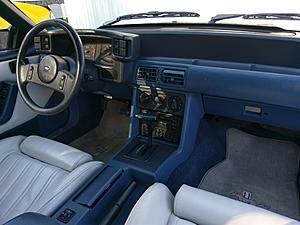 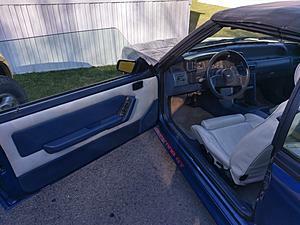 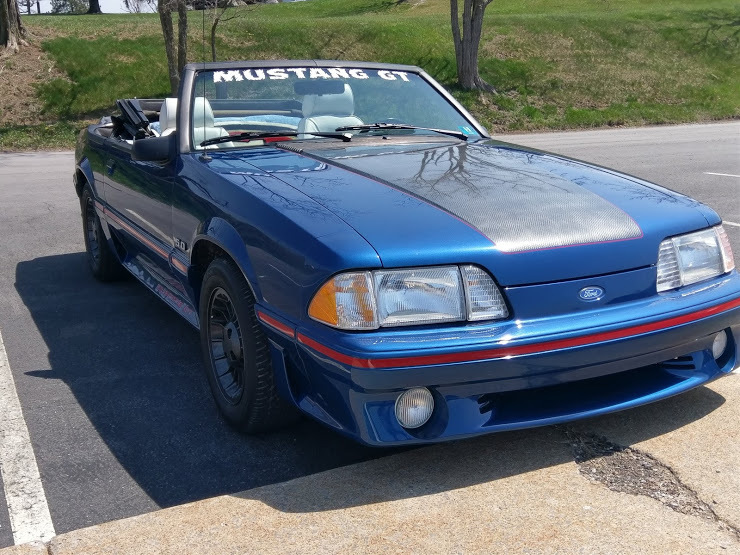 1987 MUSTANG GT 5.0 CONVERTIBLE!!!!! !